Jaipur - Annually around 70 Lakhs people die globally because of tobacco related cancers &further disturbing is the fact that India itself contributes 16% to this irreversible loss. In a press conference organized at Bhagwan Mahaveer Cancer Hospital & Research Centre, Jaipur, Dr Nidhi Patni, HOD-Radiation Oncology shared that on an average 2500 people in India are daily losing their battle against cancer & out of the total cancer patients in India around 45% males & 17% females suffer from Tobacco originated Cancers. 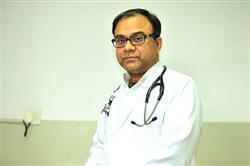 Medical Oncologist, Dr Lalit Mohan Sharma confirmed that Tobacco in any form, contains various harmful chemicals which affects Human DNA & leads to various Cancers like- Lung Cancer, Head & Neck Cancer, Stomach and Food Pipe Cancer & Uterus Cancer. People who consume “Gutkha/Chewable Tobacco or even Smoke” are more prone to mouth cancer & have symptoms like- reduced mouth opening, change in voice, regular cough & excessive weight loss. Bhagwan Mahaveer Cancer Hospital & Research Centre has collected statistics as per ICD-10 & has analyzed that in last 5 years total of 46,904 patients have been treated & on an average 9,380 new patients are being treated annually. Critically most common cancer in these patients was found to be “Head & Neck Cancer caused by Tobacco” . Mr. Babu Lal Saini, a 54 years old from Mansarovar, Jaipur, shared his real life experience at the Press Conference. Mr. Babu Lal started smoking in his teen age & after smoking for 20 long years got detected with Throat Cancer in 2005. He underwent a surgery, chemotherapy & radiation for 1 year at Bhagwan Mahaveer Cancer Hospital & Research Centre &agonizingly discovered that it’s not only patient who bears the pain but it is also his entire family that is equally affected both morally and financially. Due to Cancer, Mr. Babu Lal had to quit his job & his children had to take-up mean jobs to support the family. During the conference he made a sincere appeal “One should keep himself away from all sorts of tobacco consumption to lead a healthy life as Tobacco not only causes cancer but also leaves behind a long tail of pain & agony.